Here are some facts about King Edward IV. Edward IV was King of England twice, once from 1461 to 1470, and again from 1471 to 1483. he was the first English king from the House of York. He was born in 1442 in France and had great military skill, even at an early age. He was also one of the tallest of all British monarchs, at 1.93 metres. 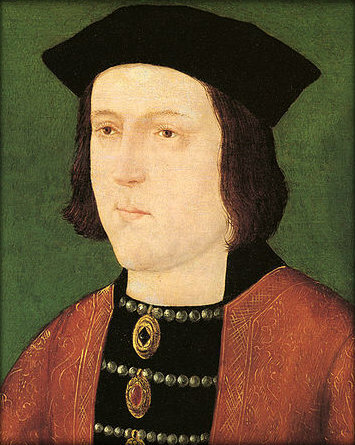 Edward IV inherited the title of Duke of York when his father was killed in a battle. In several battles in the Wars of the Roses, Edward defeated the Lancastrians and became king in 1461. The powerful Earl of Warwick tried to control Edward, and was eventually killed. Edward hid in France and the Netherlands for a year, but was restored to the throne in 1471. Edward IV declared war on France in 1475, although ended up negotiating as he had little military support. The French gave him a gift of 75,000 crowns, a lot of money at the time. Edward is known for being handsome and he had many mistresses. He also had at least 10 children, 2 of which were possibly murdered on the orders of his uncle, Richard III. Whether two of his sons were actually murdered is one of history’s biggest mysteries. Some historians say they survived and returned to claim the throne under different names. He liked fine clothes, furnishings and jewels. He also had a collection of beautifully illustrated historical manuscripts, 40 of which can be seen today in the British Library. Edward helped to restore law and order in England and was also a successful businessman. He made the Duchy of Lancaster the property of the Crown, an arrangement still in place today. Edward IV died in 1483 and was buried in Windsor castle. He may have died from pneumonia, typhoid, a generally unhealthy lifestyle, or he may even have been poisoned.